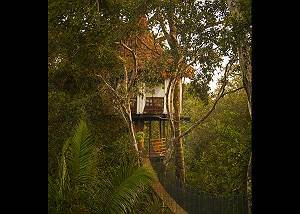 Treehouse 12 has 1 Queen bed and 1 bathroom. 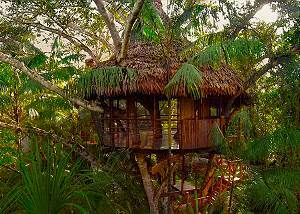 It is the newest Treehouse and perfect for animal viewing. Enjoy the incredible beauty of the Amazon without being on the jungle floor.Your stay will include all of your meals prepared by our local chefs and all of your daily excursions and adventures that you personally pick. 40ft Sleeps 3 (1 king or 2 twin/ cot).Enjoy the incredible beauty of the Amazon without being on the jungle floor.Your stay will include all of your meals prepared by our local chefs and all of your daily excursions. Enjoy the incredible beauty of the Amazon without being on the jungle floor. Your stay will include all of your meals prepared by our local chefs and all of your daily excursions and adventures that you personally pick. 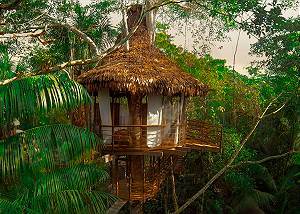 Treehouse is the ultimate Amazon Jungle destination. 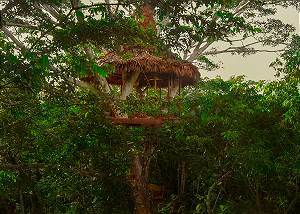 Enjoy the beauty and wonder of the Amazon without being on the jungle floor. 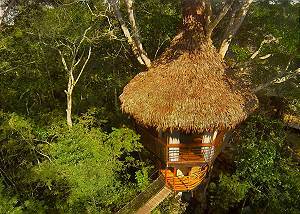 Your stay includes all meals, transport, private guides and custom excursions.